← I’ve Found The Missing Aviator Bust! Welcome to the TALLEST man in Key West, I take that back… Welcome to the TALLEST man in the recorded HISTORY OF THE WORLD! 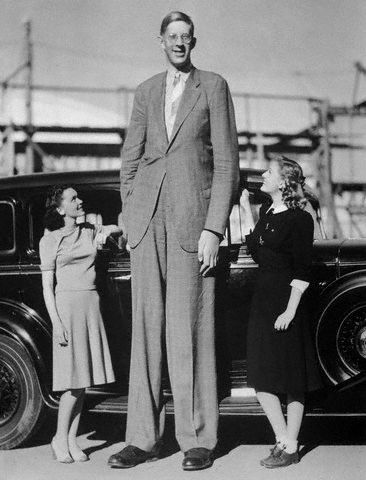 Wadlow reached 8 ft 11.1 in height and weighed 439 lbs at his death at age 22. His great size and his continued growth in adulthood was due to hypertrophy of his pituitary gland, which results in an abnormally high level of human growth hormone. He showed no indication of an end to his growth even at the time of his death. On July 4, 1940, during an appearance at the Manistee National Forest Festival, a faulty brace irritated his ankle, causing a blister and subsequent infection. Doctors treated him with a blood transfusion and emergency surgery, but his condition worsened, and on July 15, 1940, he died in his sleep at age 22. More than 30,000 people attended Wadlow’s funeral on July 19. He was buried in a 10-foot-long, half-ton coffin that required twelve pallbearers to carry and was interred in a vault of solid concrete. 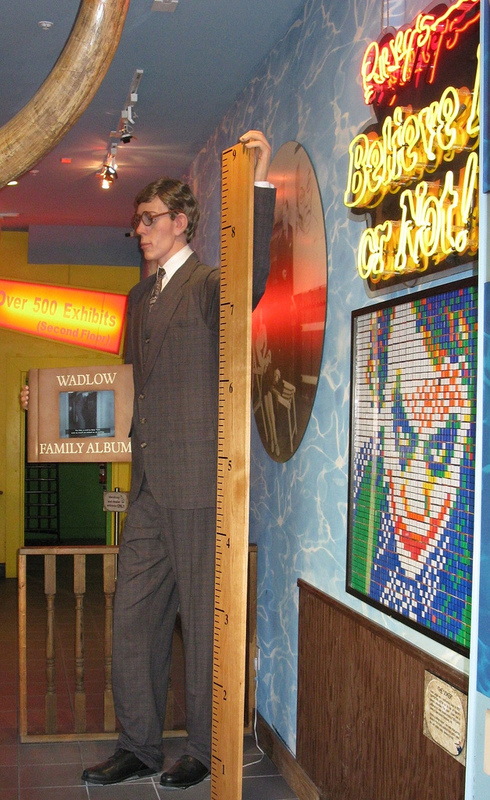 Wadlow’s family was concerned for the sanctity of his body and wanted to ensure it would not be disturbed or stolen. You can find a life-like statue of this gentle giant at Ripley’s Believe It Or Not! in Key West located at 108 Duval Street.